Trailmark community! Home is located in fantastic location on a greenbelt with trails right out of your front door! Quiet cul de sac across from open space. Beautiful cherry cabinetry, stainless appliances featuring a gas stove and granite countertops. Living room, large family room and bath with shower on the main level plus great flex space off of the family room- Perfect for an office, play room, craft room, work out space or more. Must see large laundry room with convenient utility sink leading to oversized 2 car garage. 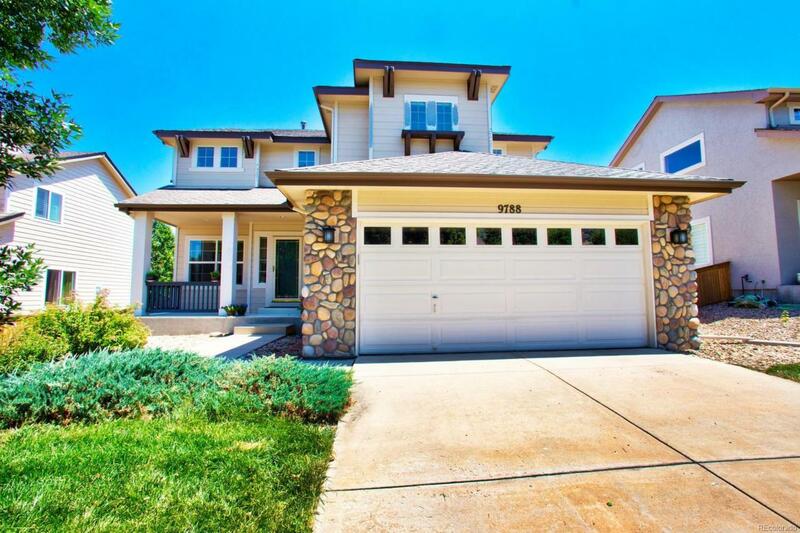 4 bedrooms upstairs which includes large master suite and 5-piece master bath. Basement is ready to finish with installed fully sealed crawlspace system. This home is in excellent condition and ready for quick closing and possession. Enjoy all the amenities of Trailmark including park, lake, sports field and community events as well as close proximity to Chatfield State Park, Roxborough State Park and the Botanic Gardens at Chatfield!